Phyllis Holder, fourth from left, and Sisters 4 Cure volunteers at their annual Fight Like a Girl fundraiser. The event offers educational materials on cancer prevention. For many of the women who have sought help at Sisters 4 Cure, a not-for-profit organization based in Milwaukee, beating cancer was only the half of it. They turned to Sisters 4 Cure for emotional support and lifestyle coaching after undergoing cancer treatment and were in remission. That's because patients can face a host of health issues resulting from chemotherapy and radiation treatments, including chronic pain or heart conditions. There is also the mental and financial toll cancer can have on patients, who may suffer from depression, stress and loneliness after treatment. Experts say it's vital for cancer survivors to stay healthy to prevent the recurrence of cancer and other diseases. 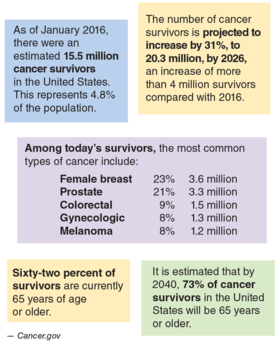 It's especially important for low-income and minority populations, which are more likely to be diagnosed with certain types of cancers and suffer higher mortality rates. Sisters 4 Cure offers nutrition classes, health screenings and support groups to help low-income cancer survivors stay healthy. "The cure isn't simple," said Phyllis Holder, who founded Sisters 4 Cure in 2005. "Co-morbidities and depression will make survivorship harder." Community-based organizations like Sisters 4 Cure are vital to help low-income cancer survivors since safety-net providers often don't have the resources to offer such programs, experts say. Access to resources meant to help cancer patients remain healthy after treatment—called survivorship programs—are still largely concentrated in large, expensive academic medical centers. This arrangement often leaves out patients in low-income areas who would benefit most from the additional help. With more people surviving cancer, programs to help them stay healthy after treatment are growing. But they are still concentrated at large, expensive academic centers, often leaving behind low-income patients. "Oftentimes, we don't have the resources in our low-resource healthcare centers so patients can't access things like a dietitian," said Melinda Stolley, associate director of prevention and control at the Medical College of Wisconsin Cancer Center in Milwaukee. Survivorship programs are a relatively new concept in oncology care. About 10 years ago, the National Cancer Institute implemented protocols for providers to create survivorship care plans for their patients as an increasing number of patients were surviving cancer. The side effects of their cancer are discussed as well as the importance of maintaining a healthy lifestyle to prevent recurrence. Big name cancer centers like the University of Texas' MD Anderson have taken the concept a step further and established survivorship clinics for patients, said Dawn Wiatrek, strategic director of cancer treatment access at the American Cancer Society. These clinics have specialists available to help patients create a treatment plan and ensure they keep their health in check. Lifestyle coaching and support groups are also often available. But community-based cancer centers are frequently strapped for resources and can't provide the same breadth of programs as their academic counterparts, Wiatrek said. "Community cancer centers are moving in the direction of recognizing the importance of survivorship . . . but the incentive isn't always there when you have limited resources." Because of that, both Wiatrek and Stolley said it's vital for the centers to engage with the community and grass-roots organizations to help their patients. There is also evidence that community-based approaches work. Prior to joining the Medical College of Wisconsin, Stolley worked at the University of Illinois at Chicago, a safety-net provider located on the city's West Side. 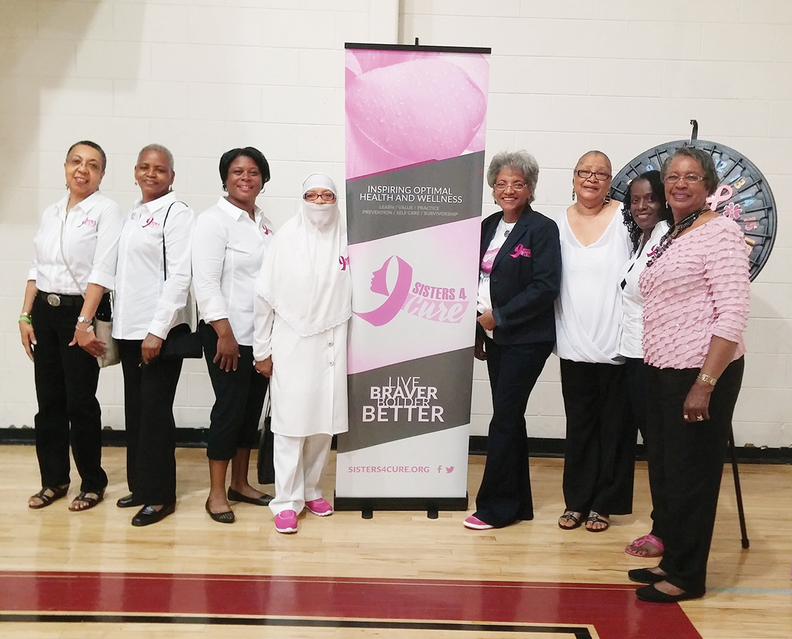 There, she piloted a study that evaluated the health outcomes of African-American breast cancer survivors who participated in two lifestyle and fitness programs at local public health facilities over a six-month period. African-American women are 40% more likely to die from breast cancer than white women, and they are more likely to die from the cancer because of co-morbid conditions like diabetes and hypertension, according to the CDC. The program involved education about the relationship between obesity and breast cancer, how to read food labels, portion control and available community resources for healthy living. Exercise classes such as yoga and Pilates were available as well. Also, because the program was held at a public center in their local community, the participants had a free membership to other amenities at the center. The results showed that up to 44% of participants lost weight because of the programs. Cancer survivors are more likely to stick with wellness programs offered in their community because they are close to home and include people like them, Stolley said. Frequent visits to large academic cancer centers can also be difficult because they're far away and the trips can be costly. "Survivors are somewhat isolated," she said. "Having these resources in the community promotes that community of survivors who can support each other." Although not-for-profit organizations can be vital resources for cancer survivors, funding and access to them are still hard to come by. Holder said Sisters 4 Cure is one of a few organizations available to low-income cancer patients and survivors in Milwaukee. She has struggled to maintain funding for the organization as well. Stakeholders sometimes question the value or purpose of the work. Though as survivorship programs have become more prevalent, it's been easier to get support, Holder said. "It's been a rough road," she said. "But the mindset is changing."